Have you ever looked at one of the Art Wolfe books? 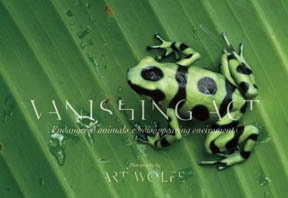 Art Wolfe is one of the most famous wildlife photographers on the planet. You probably don't know that his photography has covered so much more than wildlife. He's very experienced and talented with photography of native cultures and landscapes. His background of studying art history in a formal setting shows up in his photography. Art has been a prolific writer too. Art has published 80 books over the last 36 years. 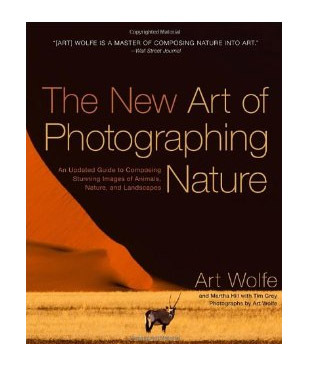 My personal favorite of Art Wolfe Books is tough to choose, but I guess I'd lean toward "The New Art of Photographing Nature." 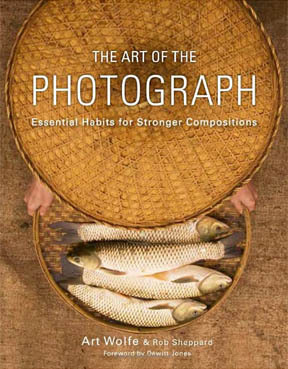 It's a little dated, but it's a nice collection of his older and newer work, combined with critiques, the technical information on image capture, and a lot of good tips on composition. It has a nice mix of photographs that were shot with films like Kodachrome and Fujichrome Velvia and also more recent images that were shot digitally. My own attempt at an Art Wolfe type of photo. This photos has a very similar feel to the photo on page 135 of the book. More importantly are the critiques of the images by Art himself and the sometimes contrasting opinions of Martha Hill. The 250 nature photos in the book are spectacular and these two visually gifted individuals provide their remarks on many of the images. They give great insights into what works and what doesn't work. 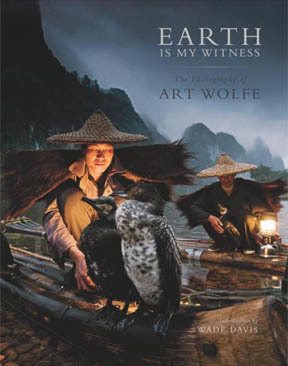 They discuss little changes that can turn a good photo into a spectacular photo.This Wolfe book is composed of contributions from three talented individuals. 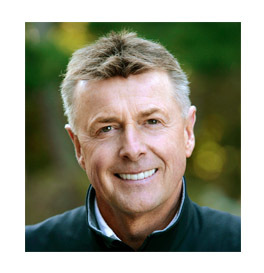 One of the most, if not the most, well known nature and landscape photographer in the world. Both of Art's parents were commercial artists and he earned a BA degree in Fine Art. 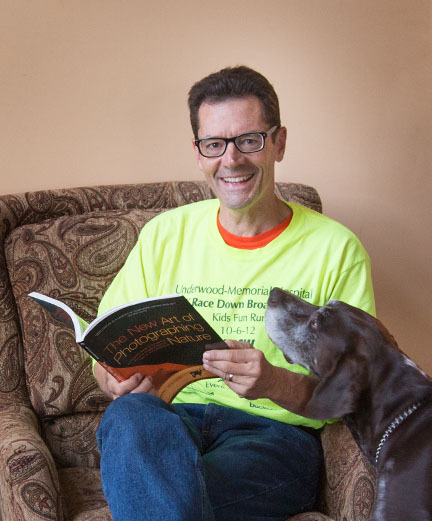 Knows photography inside and out as a freelance writer and as the former photography editor of Audubon Magazine. is a digital imaging expert, educator and speaker, article writer and has published several acclaimed books on digital imaging. The contributions from Tim Grey increase the value of the book, for all digital photographers, including the seasoned professional. You might find the third part of the book the most valuable of all. 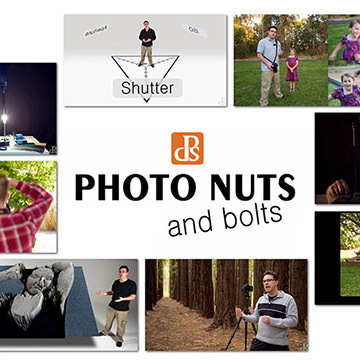 Topics include creative use of shutter speed, ISO, using filters, and depth of field tips. I've been shooting digital photography professionally since the release of the Canon 10D in 2003 and chapter 10, Tim's Top Tips for Digital Photographers give sound advice about the whole digital "workflow." Tim's final topic is called Back Up, Back Up, Back Up and it led me to write an article called How to Backup Your Photos. favorite chapter of "the new art of photographing nature"
It was tough for me to pick a personal favorite chapter in this amazing nature photography book. I enjoyed all of them and I think the way the topics were organized made a lot of sense. 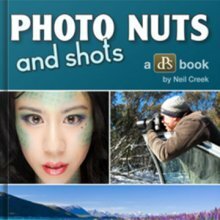 You're a nature geek like me, so when you see amazing photography of a subject you have a passion for, you can't help but get a real satisfying experience by browsing through any one of these chapters. If you held a gun to my head, I'd have to say Chapter 5, "The Elements of Design" was perhaps the most inspiring and educational for me. 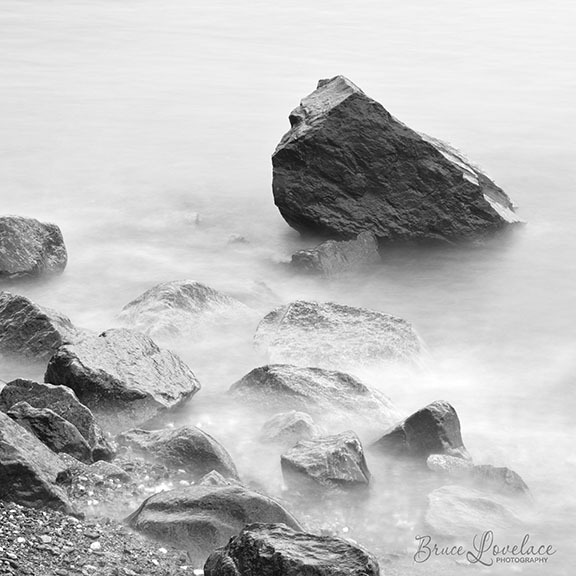 It's an indepth study of photography composition and will help you improve every single kind of photo you take, whether it's a landscape, a seascape, or a night scene. Several of the most important aspects of composition, such as the power of line, perspective, depth, diagonals and patterns were covered and the photos are just magnificent. 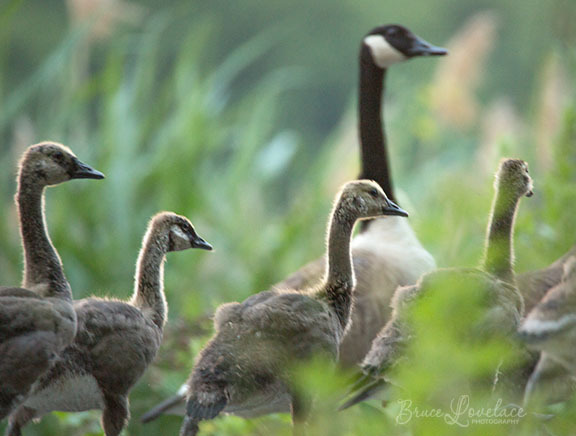 Sure, there are many options for getting good information that will improve your nature photography. Of course, there are free web site like "Better Digital Photo Tips." You can also attend seminars taught by famous nature photographers. I attend at least one workshop or seminar every year-usually it's more than that. This book is crazy-highly rated. 98% of 56 reviewers give it a 4 or 5 star rating*. Artistic images from a talented artist. This is a "Where's Waldo" book for nature geeks to revel in. It's a great book for kids too as it can be used to teach children the beauty of creatures and how they camouflage in the natural environment. 100% 4 or 5 star rating. This book was published in 2013 and has been rated 4 or 5 stars by 92% of the reviewers*. It has over 200 stunning images. *The 4 and 5 star ratings mentioned above are from Amazon buyers of Art's books and are accurate at the time of this post. 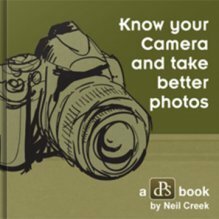 *You'd enjoy anyone of these photography books, but they'd also make a great gift for a friend, family member, or fellow photographer. Shoot more nature. Watch less TV.